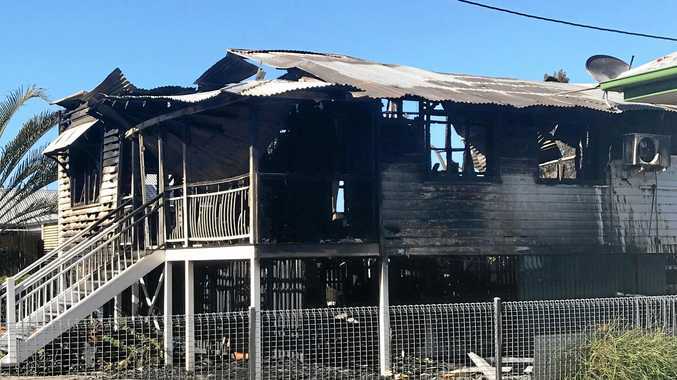 A suspicious fire tore through and destroyed a two-storey home on Eldon St in Berserker in the early hours of Thursday morning. A MAN poured petrol throughout the house of his former wife, placed a gas bottle in the kitchen and ignited a fire by placing a paint can in the microwave for 30 seconds. Cameron John Eastwood, 51, pleaded guilty to one count of arson in Rockhampton District Court on Thursday and was sentenced to 3.5 years prison. Crown prosecutor Edward Fleetwood said the house in Eldon St, Berserker, was deemed structurally unsafe after it took fire fighters an hour to extinguish the blaze which started at 1.30am on February 8, 2018. The court heard Eastwood had been released that afternoon from Rockhampton Hospital's mental health unit after his sixth electroconvulsive treatment (ECT) for recurrent depression and alcohol dependency syndrome. Mr Fleetwood said Eastwood's former wife, Heather, and their three-year-old son left the Eldon St home that morning. Eastwood went straight to the Brunswick Hotel, consumed 10 beers and two litres of port before heading to the house with intent to self harm. Mr Fleetwood said after being at the house alone for more than an hour and noticing no photographs of himself were on display anymore, Eastwood set the fire fuel up and ignited it via the microwave. Judge Alexander Horneman-Wren said Eastwood 'lost his s---' over the missing photographs. The court heard Eastwood was not inside the house when the fire was ignited, and a witness said he refused to answer questions about whether there were people inside. "The flames took hold quickly," Judge Horneman-Wren said . He said the witness put himself in peril by trying to get into the house to check for other people, but was unable to due to extent of the fire. Eastwood was detained by witnesses as he attempted to leave before emergency services arrived. He confessed to lighting the fire while en route to the hospital with police and ambulance officers. The court heard Eastwood and his now former wife bought the house in 2013. Mrs Eastwood had been operating a massage business out of the house but because Eastwood had intentionally lit the fire, their insurance company only paid half the house and contents claim. The court heard there was still $198,000 owing on the mortgage with just under that paid out to Mrs Eastwood. Judge Horneman-Wren said Eastwood's mental illness was "front and centre" of the sentencing considerations. The court heard Eastwood had been involuntarily admitted to the mental health unit before Christmas after having made many suicide attempts in the months prior. He had been taken off the involuntary order and onto voluntary status five days before the fire. There were plans to discharge him after his sixth ECT treatment on February 8, 2018. He had received that treatment before going to the pub. 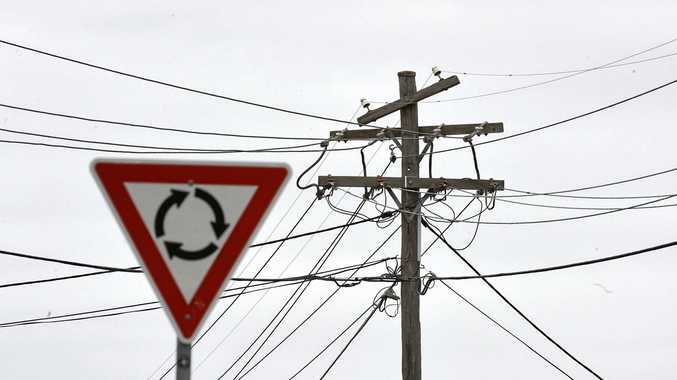 After the arson, he was readmitted to the mental health unit and had a further six ECTs before being charged and released into corrective services custody on March 6. "He was well and truly in the throws of his mental illness," Judge Horneman-Wren said. He said there was no criticism of the treating medical staff's decisions as they acted on the information at hand at the time. Defence barrister Maree Willey said Eastwood had significant alcohol issues since he was 20-years-old and had mental health issues since 2010. She said he had worked full-time all his life until October 2017 after being put on a pension. Ms Willey said his marriage broke down in July 2017 and his mental health spiralled downward. She said he remains medicated and planned to relocate to Gold Coast after released from prison to be near family and friends. Judge Horneman-Wren declared 338 days presentence custody, ordered Eastwood to a 3.5 year prison term suspended after time served.